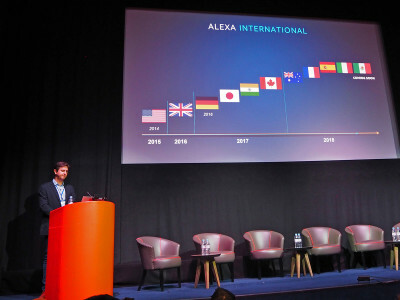 Once again, and for the fifth consecutive year, market research firm Futuresource Consulting promoted its highly successful Audio Collaborative conference dedicated to latest audio industry trends. Combining the latest market research intelligence, this is a unique opportunity to share the latest insightful industry trends among key industry influencers and discuss how services, hardware, and content is shaping the future of the audio landscape. The Audio Engineering Society is promoting its second International Conference on Audio for Virtual and Augmented Reality. 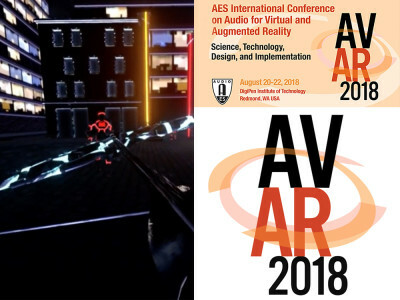 The conference and exhibition will bring together a community of influential research scientists, engineers, VR and AR developers, and content providers to explore topics such as spatial audio capture, binaural, ambisonics, wave field synthesis techniques, 3D Sound field navigation, HRTF modeling, reverb and room acoustics synthesis, 3D audio content production, and sound design for VR/AR. The three-day conference takes place in Redmond, WA. 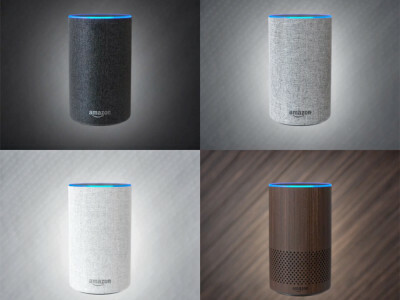 Parks Associates' new report "Global Connected Living Outlook: Expanding IoT Momentum" reports 27% of U.S. broadband households own at least one smart speaker, and that nearly 40% of consumers planning to purchase a smart home device find interoperability with either Amazon or Google personal assistants is important. Parks Associates's research on Home Security also reveals that 75% of home security installations in 2017 included smart control features. 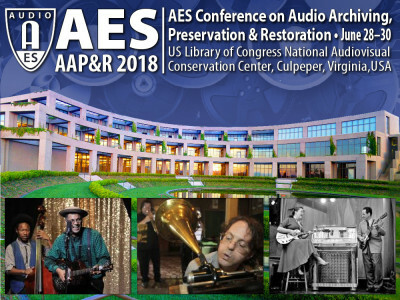 The 2018 Audio Engineering Society International Conference on Audio Archiving, Preservation & Restoration will take place in Culpeper, VA, June 28-30. This conference will present an opportunity to bring researchers and practitioners together for three days to discuss critical preservation issues and focus on strategies that will support and encourage collaboration and interoperability between industry and the preservation, restoration and archiving communities. 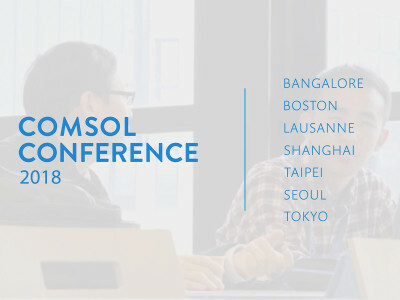 COMSOL announced the deadline to submit presentation abstracts for the COMSOL Conference 2018. Users of simulation and analysis software are invited to submit abstracts by July 20, 2018 for an opportunity to present their work at this year's event. This is a unique opportunity to contribute to the multiphysics simulation community and connect with likeminded CAE specialists. The COMSOL Conference 2018 Boston will be held October 3-5, 2018 at the Boston Marriott Newton hotel. 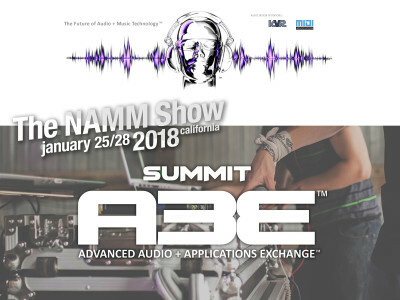 A3E, the Advanced Audio + Applications Exchange, will present a series of discussions dedicated to the future of advanced audio applications and new music technologies at The 2018 NAMM Show (January 25-28). The organization’s A3E Summit will feature 36 sessions, case studies and expert panel discussions delving into the developments transforming the music and audio industries, and the use of Audio + Applications in production and performance. Audio Precision announced a technology demonstration of multichannel audio bus testing at the upcoming AES 2017 International Conference on Automotive Audio in San Francisco. 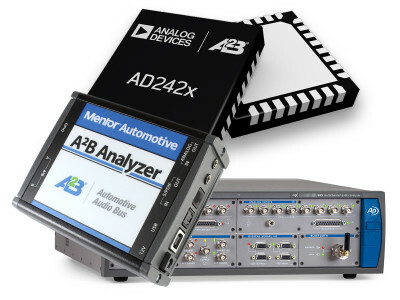 Conducted in cooperation with Mentor Automotive, the test scenario will center on the digital audio bus technology developed by Analog Devices, Automotive Audio Bus (A2B), and the concept system will incorporate AP’s eight-channel APx585 audio analyzer and Mentor’s A2B Analyzer platform. 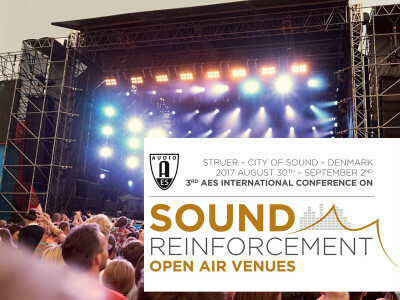 The 3rd AES International Conference On Sound Reinforcement — Open Air Venues, will take place in Struer, Denmark, from August 30 to September 2. This conference on sound reinforcement is a follow-up to the AES 2015 conference in Montreal and will focus on sound reinforcement in the open air. Live performances will demonstrate the most advanced and up-to-date sound systems operated by renowned sound engineers on an outdoor stage. beyerdynamic announced that its new Classis BM 53 USB microphone is now available, following the presentation at InfoComm 2017 in Orlando, FL. The boundary layer plug & play solution is ready to use for recording or transmitting sound using a laptop or PC. 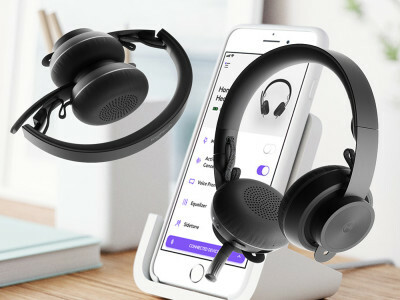 It is ideal for recording meetings, reports and podcasts. 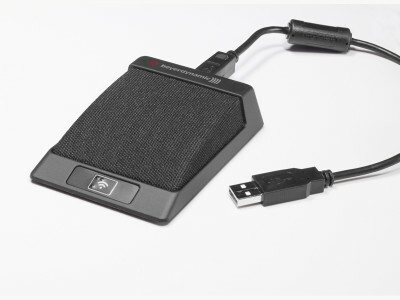 Its USB interface is also perfect for teleconferences, video conferences, Skype conferences and teaching purposes.